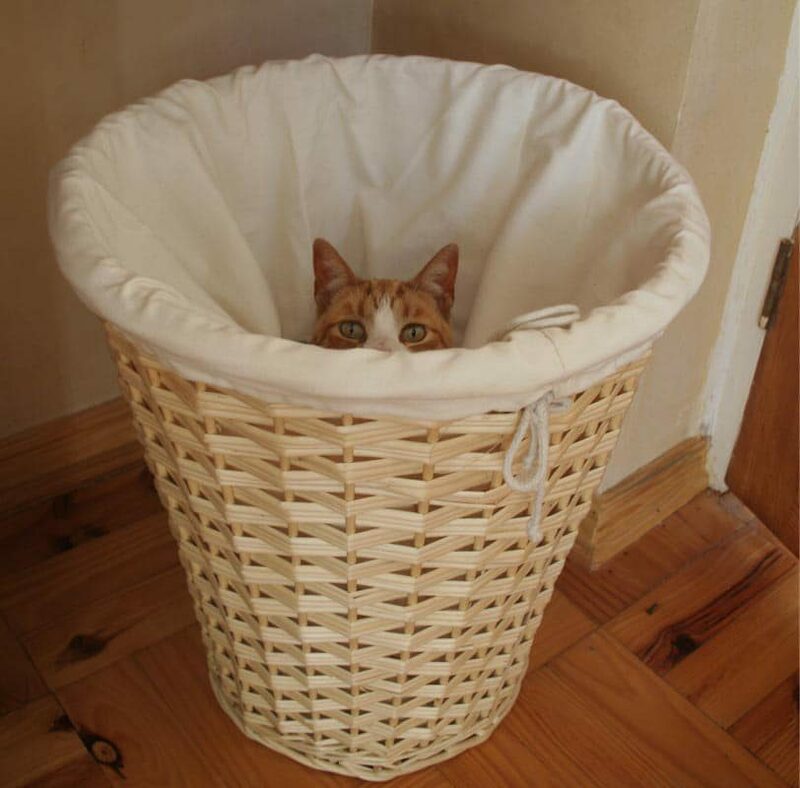 My family adopted a ginger cat not so long ago – Mischief. He adores human company and from the moment he sees you he either starts purring or talking. 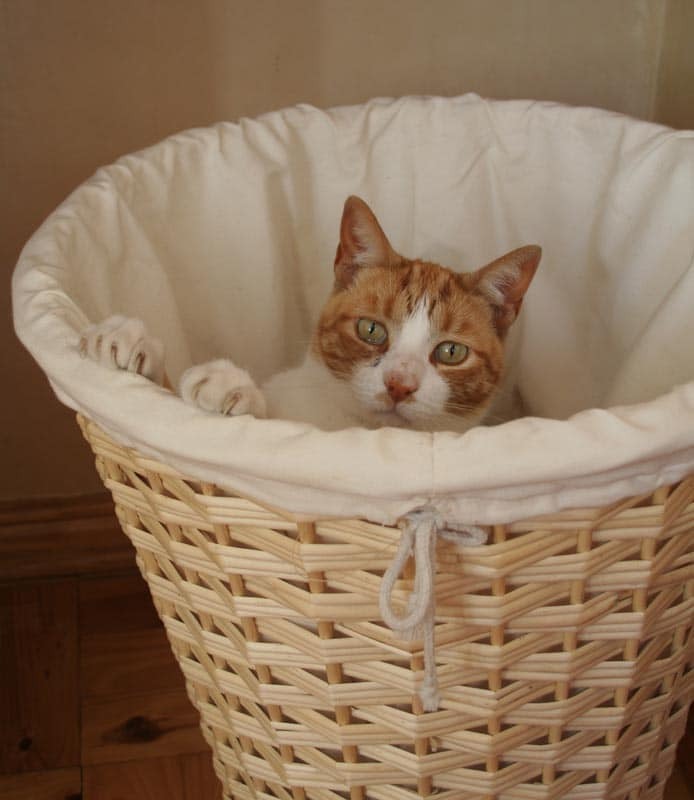 He is like a child: never leaves you alone and constantly wants to be fed (he arrived skinny and is now rather fat). True to his name he is always up to no-good. 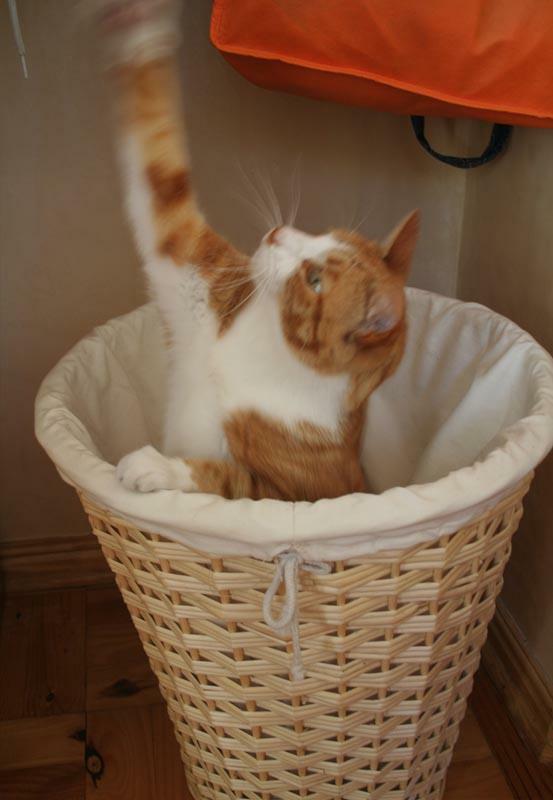 The other day he jumped into my empty laundry basket trying to get to my shoe laces that hang down beside the basket. He looked so cute in there…I grabbed my boyfriends camera (which is always at my flat now-a-days because it is soo much better than my little cheapie one) and clicked away. I have just downloaded them and am thrilled with how they have come out. 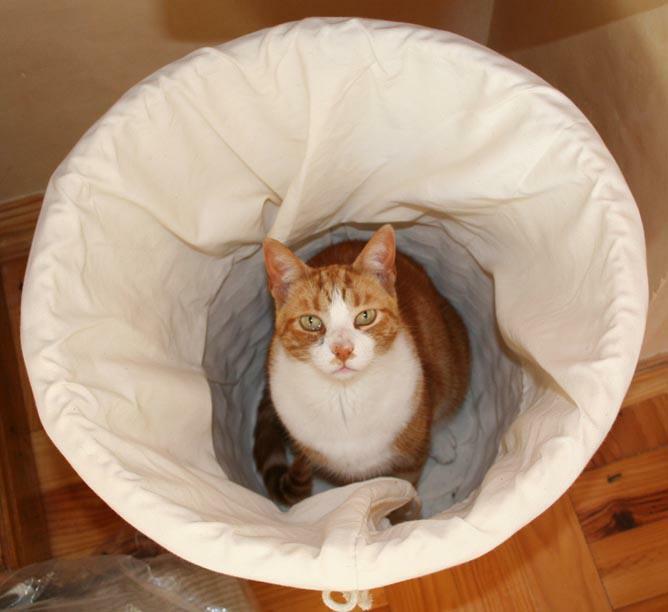 This entry was posted in Blog and tagged Cat, Ginger Cat, Laundry Basket, Mischief. The pictures came out soo well. I love the one where you only see Mischief ‘s ears and eyes. He’s a cutie. I’m sure it’s hard to get mad at him when he’s naughty if he’s always purring and looking cute like that. So cute! I love that last photo!